Guest posting is a prominent way to increase your SEO value. It’s why lots of guest posting services make quite lucrative incomes. If you’re receiving regular requests for guest posts, you should consider it a compliment. Your website is relevant enough for people to want to write for it. 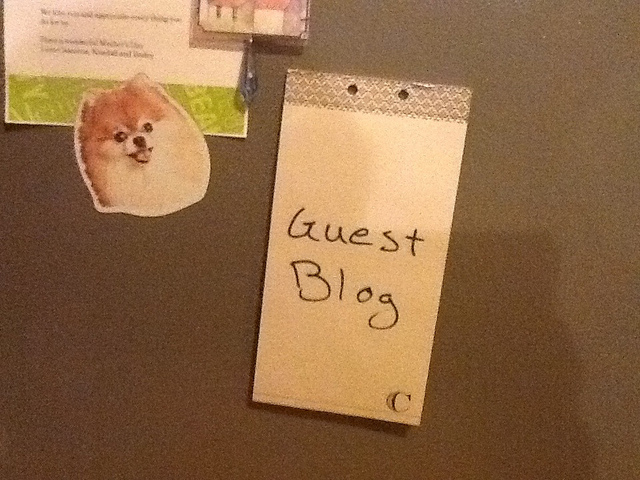 Before you accept a guest post, you need to check it through carefully. Post a guest post on your website which is plagiarized, adds no value, and is generally unsuitable will hurt you. It will hurt you because Google will slap you down for it and your regular readers won’t like it. Take into account these things before allowing someone else to supply a blog for your website. Plagiarism is the main thing you want to watch out for. It’s what will inevitably cause your site to tumble down the Google search rankings. Google has a zero tolerance policy for plagiarism. Run it through an anti-plagiarism program to be assured of its originality. The program you decide to use is up to you, but the best one by far is Copyscape. Another option is to look at the other blogs the author has written. If they’ve posted duplicated content before there’s no reason why they can’t do it again. Since Google Panda and Penguin made their respective marks, the focus for SEO is on quality over quantity. It’s dangerous to opt for quantity as Google will see this as providing content with no value to readers. The best way to mark a guest blog as a quality post is to read it yourself. No program can substitute for the human eye. Cast your gaze over the post and decide if it’s supplying any information which hasn’t been written about thousands of times previously. Guest posts should be specific instead of general. It’s too risky to use a post which simply regurgitates the information already supplied by other websites. It’s common practice for guest bloggers to request a link back to their website for SEO purposes. It’s what makes guest posting services so effective at what they do. Google has stated it won’t accept affiliate links in blogging any longer. They say it’s a negative practice and they’ll reduce the ranking of any site which participates in it. Check every link before releasing it onto your website. If the other site has lots of affiliate links, even if it isn’t selling something itself, remove the link. It’s just as problematic a strategy to publish a link related to another link which promotes affiliate marketing as it’s to link directly to such a website. If you’ve been accepting lots of guest blogs lately, you’re putting yourself at risk of being declared as an article dumping ground. Following the changes to the algorithms, content mills and article directories were the main two groups to suffer severely. Google sees these as pointless as they act as places to dump links and nothing else. If your proportion of original content doesn’t eclipse guest blogs you’re doing the same thing. There’s nothing original to your website if it consists almost entirely of posts from other people. And, in some cases, people have been wrongly designated as link farming. One way you can avert disaster is to only accept a limited number of posts every few months. Your guest posts should never cover more than 20 per cent of your total content. Another way to avoid coming under close scrutiny from Google is to avoid writing anything like ‘All guest posts accepted’. It shows you aren’t inspecting each post and you’re just publishing whatever happens to come through the door. Avoid breaking copyright and annoying your fellow bloggers by allowing guest posts without proper credit given to the owner of any images you use. Many blogs find it easier to use their own images, except in very specific circumstances. Make sure you credit the owners of any images you use in guest posts. It will keep your reputation intact. If you can’t find the owner, and your applicant also doesn’t know who the owner is, disregard the image and remove it from the post. It’s your blog and you have full control over the content.